Dr. David Loves MINT JULEP MASK! Here is probably a post you've all been waiting a long time to see: my support of a specific product that I think is great! Indeed, this is quite a rare post for me, but, yes, I am coming out in support of a product that I think is certainly worthy. After all, it's Friday (and right after Valentine's). So what do I think is the best overall mask? It's Queen Helene Mint Julep Masque. I'm sure you all have used it (or use it now). Heck, even I have a tube somewhere at home and always keep one in my dopp bag when I travel. I certainly don't use much skincare products on my own regard, but usually if I'm traveling, doing an interview, or making an appearance for anything, this mask is always a great bet to help the skin look it's best. The biggest reason it makes the top of the list is it's price, only a couple dollars a tube. And you can get a smaller size for under a buck! Water, Kaolin*, Bentonite*, Glycerin, Zinc Oxide, Propylene Glycol, Sulfur*, Chromium Oxide Greens, Phenoxyethanol, Fragrance**, Methylparaben. *True active ingredients. Kaolin & Bentonite. These are natural Earth clays that have been used for centuries. I'll even dedicate posts to these ingredients next week! Sulfur is another magic ingredient in many other masks as well. **the added fragrance is the only thing that I am not in love with. Fragrance is something I don't think ANY skincare product should have, since it is a top allergy inducer and can be an irritant. Try selling any of today's skincare products without fragrance! It's also a major factor why people love their products . . . the way it smells! So there you have it. Minus the added fragrance, I can say, this one of the best masks on the market, especially when you factor in the price point. If you have a favorite mask, I think you should check out the ingredients. 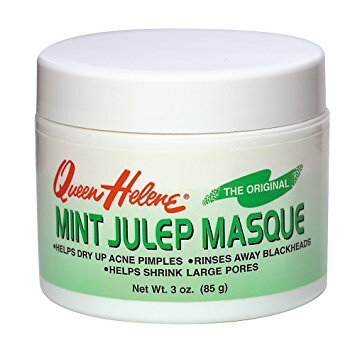 If the major ingredients of your mask is kaolin, then you should think about trying out the Queen Helene Mint Julep mask. It'll probably do the job, and will save you money! Great Formula, Effective. I even love the preservatives they use! A+ on that. The low price is the deal maker, and a personal thanks from me to the Queen Helene company for not ripping off their customers! Remember: I am not affiliated with Queen Helene products, I receive no compensation from them (not even free samples!). I have ABSOLUTELY no relationship or interest with the company. Be Safe: Follow directions on labels. If any irritation occurs, discontinue use of said product. Be extra cautious of using bentonite clay if you have sensitive skin. It can be harsh sometimes. This post is for information purposes only. Consult you own physician if you have any health related questions. Have a great Friday and a safe weekend! Because of your honest assessment that is comparable to my own experience of using this product I will continue to read this post for your thoughts. It's always difficult to determine who is right and wrong, what products are honestly good for goodness sake or someone is advertising for them. I have used Mint Julep for years after I randomly picked it up from the drug store and what do you know the thing worked - not many beauty face/body products on those shelves are worth the money but this was not only cheap but it works. 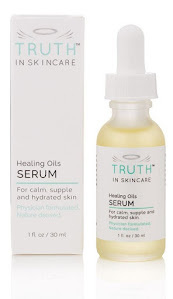 I would add for the readers that I have found that using the product every other day (to give it time to dry out the pimple) for a short time like two weeks or so depending on your needs works best. Also, it does not have a long shelf life. Toss it after 3 months otherwise it will have a negative effect on your skin. Not horribly bad but you will notice the difference.